So I tried something new with the background. Not sure if it’s too busy or not. It was the first British car I came across so it the choice for today’s entry. 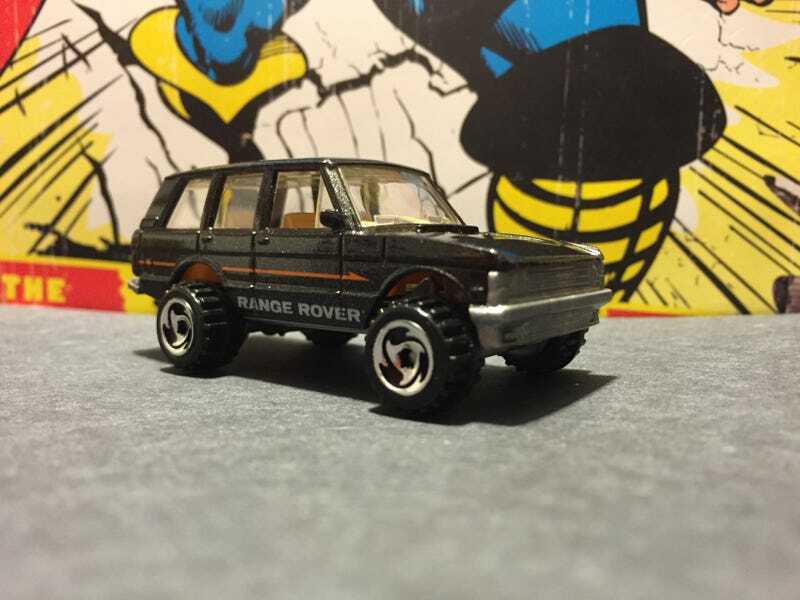 This is a HW Range Rover. The cast is from 1990-99 and this version is from 1996. The metallic black version came out in 1993, in 96 they changed to the off road saw blade wheels. Also in 96 two red versions were made.